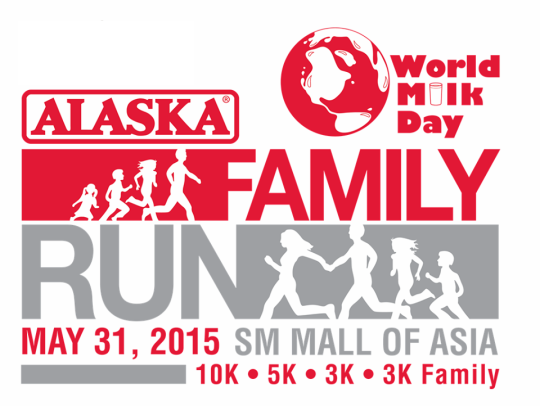 Alaska World Milk Day Family Run This Sunday! and Davao. This activity aims to promote proper nutrition for kids. Popular personalities, health advocates and sports enthusiasts to take part. Children’s Hour is still our beneficiary for this year. Manny Pacquiao Fight in Sparks Sports Bar and Club! This is absolutely a great experience, to be in the heart of beats and night life in Quezon City which along the area of Boy Scout Circle where bars, pubs coffee shops and hang outs are present. And it is even nicer to enjoy watching a Manny Pacquiao Fight in a bar. As we all know, this are the times of the year wherein there is zero crime rate, the traffic situation in EDSA, Commonwealth Avenue, Makati, Ortigas, Pasig and other major roads along Metro Manila is becoming a heaven for as far as traffic situation is concern, and it feels like everybody in the Metro went to some place else! 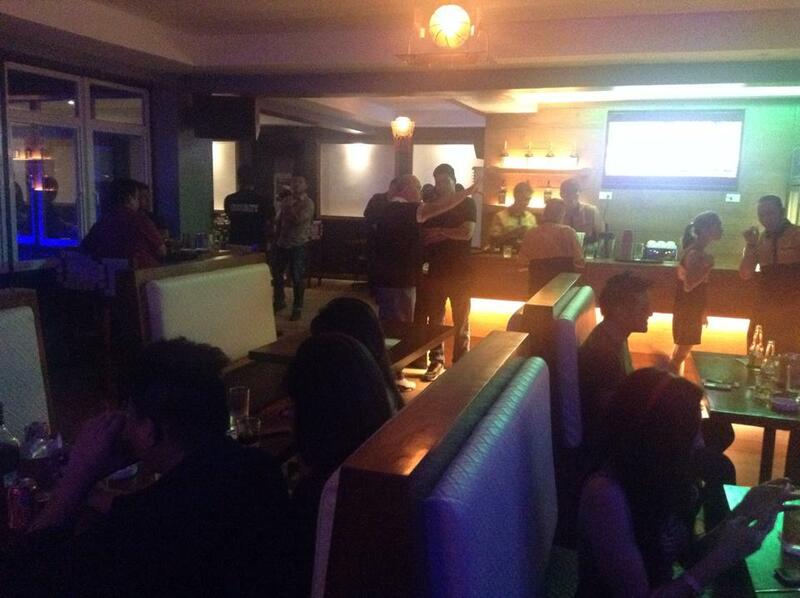 This is also one of the times of the year that it is better if we are not in the office doing work and just enjoying our time with the company of friends, and what better way than to have fun and enjoy the Manny Fight in a sports bar with a few drinks and probably some wages in the side with your close friends. And I had my share of that fun by being in Sparks - a Sports Bar and Club at the same time! The fight was not something that most of us expect but what can we do. Well...at that time, I still have something to thank for, and that is having the chance to watch the fight with my friends in a sports bar where everybody is cheering for our champ. 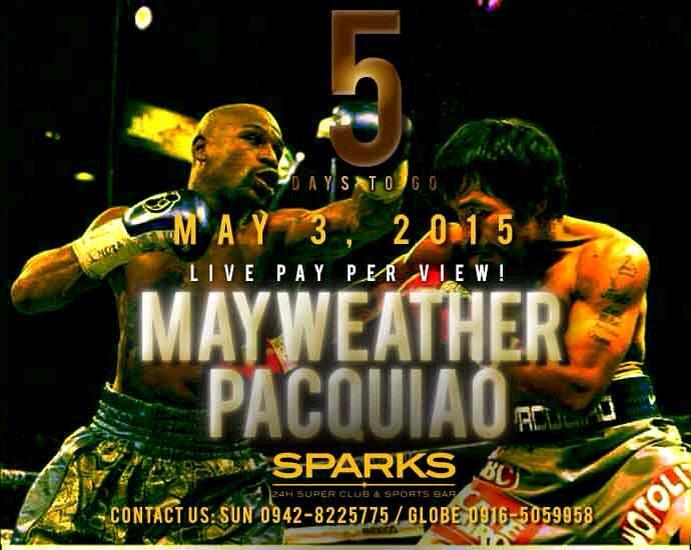 Sparks Club and Sports Bar is in Nakpil Cor. Orosa St. / 2nd flr. Guilly's Tomas Morato, Quezon City, Philippines. Have a great time watching over the Guilly's crowd at night or chill in the morning with your friends with a few drinks and good food. Of all the good-looking men in the entertainment industry, Piolo Pascual is known to stand out from the rest. With just one look from those dreamy and mesmerizing eyes, he can make any girl swoon. But Piolo himself is quick to point out: Having beautiful eyes is not enough. One must have healthy vision as well because this will help you perform tasks and achieve your daily goals. That’s what Piolo shared with media friends during the launch of “Seeing the World Better,” a public awareness campaign on the importance of good vision organized by Essilor, the world leader in vision solutions. According to Piolo, “In my line of work as an actor, it is very important to read your co-actor’s facial cues properly in a dialogue, and you can only accomplish it with good eyesight,” he shared. “That is why eye care is a serious matter for me. Without good vision, we can only do so much, and this limitation can stand in the way of achieving our goals,” he added. Here, Essilor’s brand ambassador shares some important tips for healthy eyes: Keep your eyeglasses on. “I am fond of surfing the internet through my mobile device, but I have learned that the blue light from electronic devices can harm our eyesight, so I always wear my eye lenses on,” Piolo shared. Harmful blue light is a risk factor for the onset of age-related macular degeneration, a deterioration of the part of the retina responsible for sharp, central vision. To prevent its damaging effect, eye doctors recommend wearing lenses that effectively blocks the harmful blue light. Reading in a dark room should also be avoided. With only your mobile device as your main light, the glare on the screen can cause eye strain. Follow a healthy lifestyle and a balanced diet. Eating a healthy, nutritious diet is beneficial to our eyes. Vitamins C, A and E, folic acid, selenium and zinc, which are present in fruits and vegetables, can make your eyes healthy. Have a daily dose of fruits and vegetables like grapes carrots, spinach, kale, or collard greens, for a clearer, better vision. Keeping a healthy lifestyle can also be helpful to your eyes, and your overall health. Piolo, who is a known triathlete, maintains a healthy lifestyle by engaging in sports like swimming, biking and running. By maintaining healthy weight, it reduces the chance of getting eye diseases. According to National Eye Institute, being overweight or obese increases your risk of developing diabetes and other systemic conditions, which can lead to vision loss, such as diabetic eye disease or glaucoma. Visit your optometrist regularly Piolo shared that he has 20/20 vision, but despite having perfect eyesight, he regularly sees an eye doctor to make sure his eyes are in good condition. Regular visits to an eye doctor are very important because it can pick up early signs of eye conditions. You need not wait for symptoms like headaches, dizziness, nausea and cloudy vision before visiting your optometrist. At the same time, eye check-ups may also detect most diseases, such as diabetes, arthritis, heart diseases, and even certain cancers, and can help cure or prevent these diseases from worsening over time. Make an appointment with your eye doctor once a year to keep your eyes and whole body healthy. There you have it -- Straight from the man whose expressive, healthy eyes have captivated legions of admirers. By simply keeping these tips in mind, we can keep our precious peepers looking good and healthy and be able to perform our daily activities the best way we can. Bagong Kotse, 1-Month Libre Promo Extended! The summer season is almost over and if you haven’t gone on your traditional summer road trip, the BPI Family Savings Bank will give you a good reason to do so. Take the car of your dreams out for a spin without worrying about heavy and daunting expenses! BPI Auto Loan cares for you and your family. We believe that the journey is just as important and meaningful as the destination. To help you prepare for your epic summer getaway with the fam bam, you need a reliable, new car. But with all the available auto loan offers, how can you exercise your freedom to choose and drive? 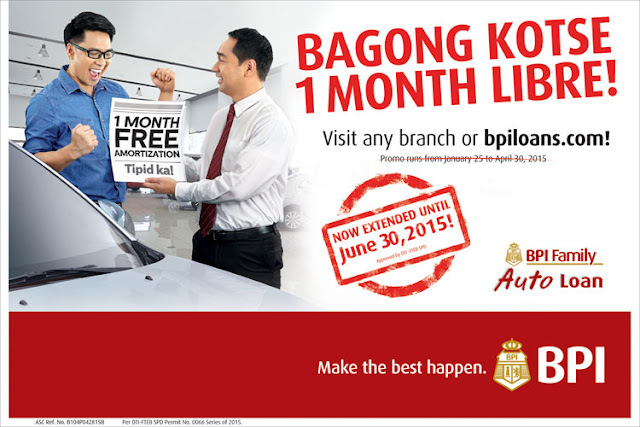 BPI Family Auto Loan’s extraordinary offer in the car and car financing industry, the first-ever Bagong Kotse, 1-Month Libre promo is extended up to June 2015! With this new campaign, you can enjoy big savings with the free 1-month loan amortization when you avail of a BPI Family Auto Loan. Experience ease in financial transactions as the 1-month free amortization and get a breather as you pay the usual incidental expenses (car insurance, car registration, chattel mortgage, etc.) that go with buying a brand new car. This amazing promo, which has been extended until June 30, 2015, allows you to avail of a car loan with a loan term of at least 36 months. “Now is the perfect time to take that opportunity and apply for a car loan with BPI Family Auto Loan. With this special treat unique to BPI, you get a significant amount for free that makes your car ownership lighter on the pocket. Enjoy your savings and treat your loved ones to a nice weekend drive in your brand new car!” says Mr. Pepe Carlos, VP and Head of the Auto Loans Division. 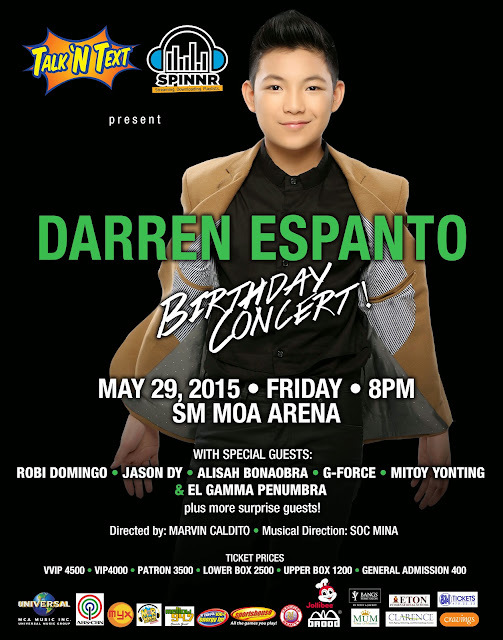 It will surely be a fun night as more guests will join Darren Espanto at his first major concert entitled “Darren Espanto D Birthday Concert” this May 29 at the Mall of Asia Arena. 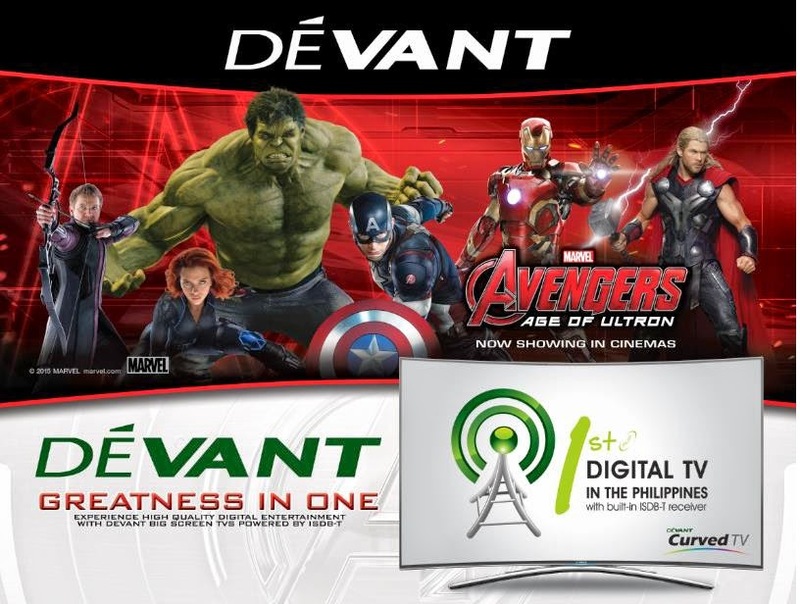 TV Host Robi Domingo, G-Force and Asia’s Got Talent Grand Winner El Gamma Penumbra will be added to the list of guests aside from previously announced: The Voice of the Philippines Season 1 Champion Mitoy Yonting, The Voice of the Philippines Season 2 Champion Jason Dy and runner-up Alisah Bonaobra. Robi Domingo is a VJ, actor, dancer, and host. He first gained popularity as a reality show contestant by joining and ending up as the first runner up of the hit television show Pinoy Big Brother Teen Edition Plus in 2008. G-Force is a dance group described as innovative, hip, and fresh. The group regularly performs in A.S.A.P and other special projects of ABS-CBN. El Gamma Penumbra is a shadow play group which was recently declared the winner of Asia’s Got Talent. The group not only impressed the judges: Grammy-winning producer/composer David Foster, Spice Girl Melanie C, Taiwanese star Vaness Wu and Indonesian singer Anggun but was also voted by the audience all over Asia as the first winner of the said contest. If you are eager on what to expect during the show, then head on to the Mall of Asia Arena this May 29 at 8pm. Tickets are available at P4,230 for VIP, P3,700 for Patron, P2,640 for Lower Box, P1,270 for Upper Box and P430 for General Admission at SM Tickets at 4702222 or smtickets.com. For VVIP tickets worth P4,760, contact Ms. Liza Ong through mobile - 09989741153 or through email - liza.ong@umusic.com. “Darren Espanto D Birthday Concert” is presented by Talk N’ Text, Spinnr and MCA Music in cooperation with Brood Shoes distributed by Sports House. Special thanks to MUM Make-up Madness, Bangs Prime Salon by Tony and Jackey, Aficionado German Perfumes, C3 Events Place, Cravings, Clarence, Erase Certified Beauty, Eton International School and Placenta. With media partners: ABS-CBN, MYX, MOR 101.9, 106.7 Energy FM and Mellow 94.7. “Darren”, the album is now out under MCA Music (Universal Music Philippines) on CDs at Astroplus and Odyssey outlets. You can download Darren’s album on spinnr.ph. For bookings and inquiries, please contact Sammy Samaniego at (632) 9162504 local 107, (0920) 9682991, (0917) 8565174 or email sammy.samaniego@umusic.com. 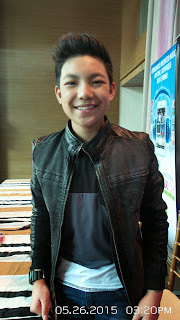 For more information about Darren, log on to www.facebook.com/mcamusic. MANILA, PHILIPPINES, May 20, 2015 – The National Basketball Association (NBA) today announced that Los Angeles Lakers guard Jordan Clarkson, Utah Jazz guard Trey Burke and NBA Legend Horace Grant will visit the Philippines to celebrate the NBA Playoffs with Filipino fans. The Oklahoma City Thunder dance team – the Thunder Girls – and Charlotte Hornets mascot Hugo the Hornet will also make appearances and interact with fans. NBA Cafe Manila will host two NBA Playoffs viewing parties for Filipino fans, showcasing the Western Conference Finals between the Golden State Warriors and the Houston Rockets. Clarkson and Burke will attend viewing parties for Games 2 and 3 on May 22 and 24 (Philippines time), with Grant joining for Game 3. Clarkson, Burke and Grant will also conduct an NBA Cares basketball clinic for 60 underprivileged local youth from Project Pearls – a nonprofit organization whose mission is to help underprivileged children lead a better life through education – and make an appearance at the NBA Store on May 23. Fans can reserve their spot to attend the viewing parties, meet with the NBA players, and win exclusive NBA-themed prizes.Visit www.nba.com/nbacafe and follow NBA Cafe Manila on Facebook and Twitter for more information on the viewing party. 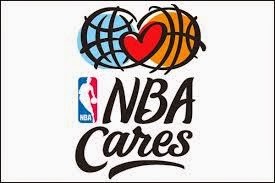 For all things NBA, visit www.nba.com and follow us on and Twitter. Jordan Clarkson was drafted 46th overall in the 2014 NBA Draft and was named to the 2014-15 NBA All-Rookie First Team. Clarkson ranked second among rookies in points per game (11.9), third in assists per game (3.6) and free throw percentage (.829), fourth in field goal percentage (.448), and 13th in rebounds per game (3.2). Trey Burke was drafted ninth overall in the 2013 NBA Draft and was named to the 2013-14 NBA All-Rookie First Team. Burke averaged 12.8 points, 4.3 assists, 2.7 rebounds and 0.9 steals per game in his sophomore season and was selected to participate in the BBVA Compass Rising Stars Challenge at NBA All-Star 2015 in New York City. Horace Grant is a four-time NBA Champion (1990-91, 1991-92, 1992-93 with the Chicago Bulls; 2000-01 with the Los Angeles Lakers) and a former NBA All-Star (1994). Grant previously visited the Philippines in 2011 for NBA 3X Philippines. Manila, Philippines -- 18 May 2015 -- Falling in line at the NBI office for almost awhole day is now a thing of the past. With the full implementation of its on-line registration, Appointment and E-payment System, securing an NBI clearance has become faster, easier and more convenient. From a 6-step process, the new system has considerably reduced the entire process into three (3) steps: 1) On-line registration, appointment and e-Payment; 2) Photo capture & fingerprint biometrics; and 3) Clearance printing. “The online registration, appointment and e-Payment system is the bureau’s response to provide a more efficient and convenient process of issuing NBI clearance. 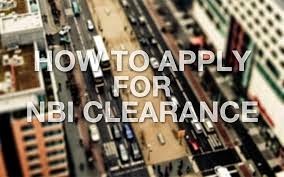 It is the solution to eradicate queuing at the NBI clearance centers, shorten both waiting and processing time,” said NBI Director Virgilio Mendez.  Online Banking – customers with local Internet banking access from banks such as BDO, BPI, Metrobank, RCBC, Unionbank, UCPB, Chinabank, PNB, MAybank, Sterling Bank and Eastwest bank can pay online using with real-time debit to their account.  Over The Counter (Bank) – customer can go to any participating bank (BDO, BPI, Metrobank, RCBC, Chinabank, EastWest Bank, Landbank, Maybank, PNB, Security Bank, Sterling Bank, UCPB and Unionbank) and pay over the counter.  ATM and Debit Cards – For customers with ATM cards by BDO, BPI, Unionbank, Chinabank, Maybank, RCBC, PNB and UCPB can pay via ATM.  Mobile Payment – G-Cash On appointment date, the applicant may proceed to any of the seventy two (72) NBI Clearance Processing Centers located nationwide for the Photo Capture and Fingerprint Biometrics (2nd step) and Clearance Printing (3rd step). For applicants with no Internet access, the NBI, as an initial step, has set up computer workstations at its Main clearance processing center in Manila, free of charge. In so far as the Regional and District Offices are concerned, the same will be attended to very soon.,jhl Director Mendez said “the new NBI Clearance Processing system is a step towards improving the service the NBI provides the various publics. In fact, since the full implementation of the new system early this year, there has seen significant improvements and positive feedback”. MANILA—You think summer is over? Think again. One would definitely needs an all-out party to cap off this year’s summer vibe and one of the leading skin care company gives you just as you wish. Beauty Elements Venture Inc. (BEVi), maker of top skin care brand Kojie.san, brings you "The Hangover”—the hottest and wildest summer ender party to hit Manila this year. "Just when they think summer is already over, Kojie.san sun block brings you “The Hangover” party that will satisfy that lingering thirst to end your summer,” Kojie.san Brand Manager Rachelreilyne Soriano said. Hosted by Mc Aoh, partygoers are sure to enjoy a night of good food, fun games, and good music brought by of the country's finest local DJs—Ron Canlas, Mars Miranda and Ace Ramos. The night’s celebration will also not be complete with Kojie.san’s announcement of its one lucky winner of the trip for four to Boracay, who participated in the barkada photo contest using the hashtag #MyKojiesanSummer69. The summer campaign kicked off with party last March 24 and was followed by Road to Summer 69 Activation at selected gas stations situated along North Luzon and South Luzon Express Way. “We can’t wait to hear your great summer stories and we know that in every experience, Kojie.san will always come in handy to protect you under the scorching heat of the sun,” Soriano said. Kojie.san sunblock is a new revolutionary product that offers one of the highest and definite sun protection factor (SPF) 69 that provides full-proof shield against the harmful ultra-violet (UV) rays. Soriano also added that Kojie.san, being every itchy feet’s companion in every outdoor activity, not only gives you the ultimate skin protection, but also leaves your skin soft and smooth as you go on the rest of your day. And even if summer is about to bid its goodbye for now, Kojie.san guarantees that you are covered all year round. Kojiesan, a product of Beauty Elements Ventures Incorporated, is a one of the leading skin care brand in the market today, with its banner product original kojicacid soap in the country. Kojiesan is available at Watson, Mercury Drug, SM department stores, and other leading departments store and supermarkets nationwide. If you think triathlon is tough, you may find your eyes get stuck on the athletic kids that participated in the last Alaska IronKids Aquathlon. I can't believe what I am seeing and can't help but get startled in amazement on what 6 years old kids can do that I believe I can't do. With 8 turns of from the pool to several kilometers run within the venue is tough, and imagine kids doing this in front of your eyes. To be honest, I shrink on my pants that day because I've seen most of those kids out run and out-swim me and boy! That is something! Check out some of the shots I got from it. 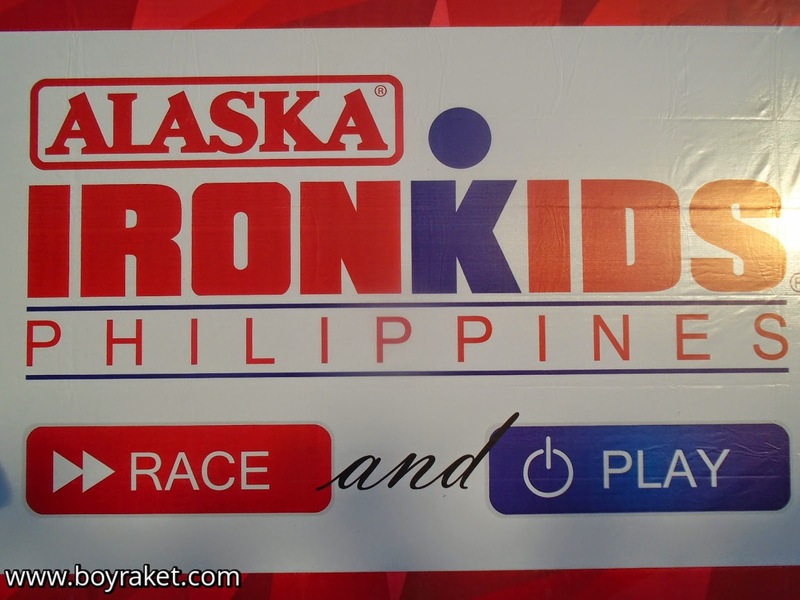 Alaska IronKids Philippines is an annual sporting event that aims to promote the healthy and active lifestyle among children through the winning combination of proper nutrition and physical activity. The Alaska IronKids Race Series is just one of many sports development programs that Alaska conducts yearly to engage children to come out and play. Pioneering athletic programs like the Alaska IronKids Philippines Triathlon has managed to take children away from their video game consoles, cellphones and cable TV remotes and out into the sun to swim, bike and run in triathlon races. Alaska’s sports programs hope to encourage children to get into organized sports while learning positive values like hard work, discipline, determination and teamwork. The program for 2015 will continue to bring excitement as it helps future athletes realize their dreams. Become an inspiring athlete too and join Alaska’s sports programs now! NUTRITION. ACTION. CHAMPION. 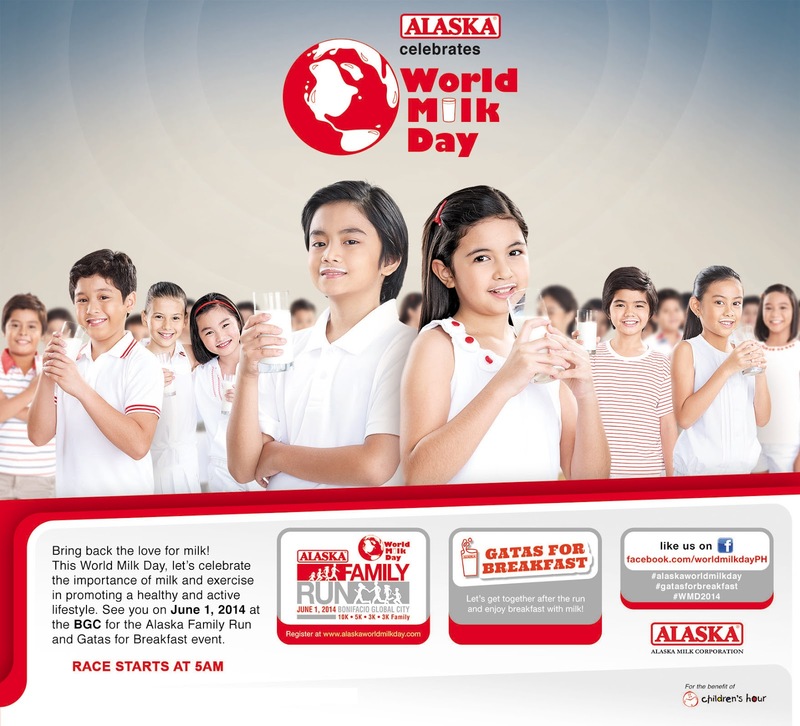 For general information about the Alaska IronKids please visit http://www.ironkidsphil.com; Alaska Milk Corporation visit http://www.alaskamilk.com; and for live Twitter updates follow @ALASKAsportshub & #AlaskaIronkids. Essilor, the world leader in corrective lenses, is launching the first lens to offer selective protection against harmful blue light and UV rays. Crizal Prevencia lens lets in essential light, which your body needs to function properly, while filtering out harmful light. It thus helps to protect your eyes against the risk of retina damage, caused by Blue-Violet light, and to reduce the risk of cataracts, which can result from overexposure to UV. Prevention with Crizal Prevencia is currently the first line of defence against the worldwide problems of Age-related Macular Degeneration (AMD) and cataracts. These conditions affect more than 350 million people around the world, a figure that may double in the next 30 years as the worldwide population ages. Children and adults over 45 are the most vulnerable to the dangers of light. Children’s developing eyes are very transparent, letting visible light and UV pass through the retina. This is a pressing matter, as they tend to spend their days outdoors, accumulating high exposure of UV. As for adults over 45, their eyes’ natural defence system is weakened and more susceptible to the effects of Blue-Violet light and UV. LED-based equipment such as the environmentally safer LED lights and LED screens of smartphones, tablets and laptops, have been shown to emit larger proportion of blue light as compared to the old incandescent lamps and fluorescent tubes. Out of the blue light emitted by these devices, it is the Blue-Violet light that is raising concerns. With more people embracing digital lifestyles, exposure to Blue-Violet light increases. Over long hours, it can lead to eyestrain and fatigue, thus overexposure to Blue-Violet light may increase the likelihood of AMD. Emitted by the sun, as well as by artificial light sources, such as LEDs, blue light is part of visible light and is close to UV on the light spectrum. A certain part of blue light, known as Blue-Turquoise light, is a natural form of light therapy. It acts as a “natural regulator” for our bodies, helping balance our sleep cycle and keep us energised and alert. However, recent research by Essilor and the Paris Vision Institute, one of Europe’s largest eye health research centres, confirms that a specific band of blue light is more harmful for our eyes. The joint team developed a completely new protocol in this scientific domain: an in vitro test on retinal cells to determine the harmfulness of different light rays. This enabled them to identify Blue-Violet light as the portion of the visible light spectrum that presents the biggest risk of causing gradual degeneration of retinal cells, potentially leading to serious eye conditions. 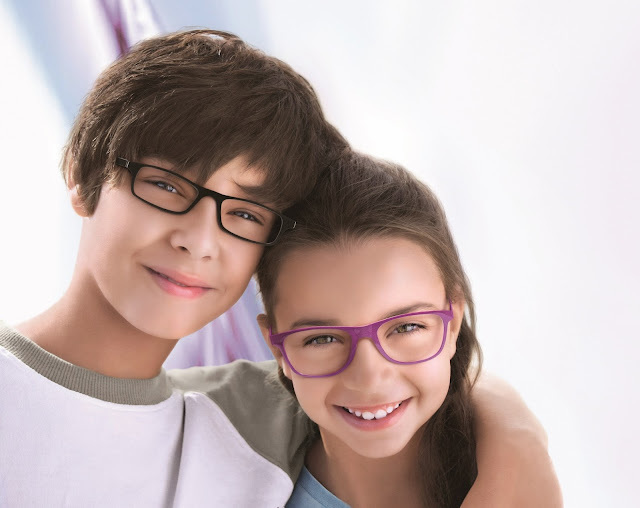 In response to this finding, Essilor has developed the Crizal Prevencia lens, which protects your eyes from the Blue-Violet light that contributes to retinal cell degeneration while allowing beneficial Blue-Turquoise light to pass through. This is new category of preventive lenses developed thanks to Light Scan™, an exclusive technology that filters light selectively by letting beneficial Blue-Turquoise light pass through, filtering out harmful Blue-Violet rays that can contribute to AMD and UV rays that are a major cause of cataracts, while maintaining the transparency of the lens, ensuring an optimal visual experience for prescription glasses wearers. As you exit the gym with your six-pack abs, muscleman limbs, and a Superman chest, or while you prepare to run at the park with your just perfected waistline, slender Barbie hips, and flat tummy, it’s nice to think about how you got this far. Remember the discipline you needed just to go to the gym or jog at the park day-in and day-out? You recall missing those midnight snacks, forgoing dates, and turning down party invites just to ensure your routine is not ruined. With a bittersweet smile (and perhaps a teardrop running down from your eye), you reassure yourself that it’s all worth it. Finally, you are ready for some smoking hot beach action! Looking good or having the right figure should not be your only concern, especially if you’ll often be under the scorching heat of the sun this summer. Think healthy living. To effectively maintain that figure for a longer time (if not a lifetime) and to feel good from the inside as well, consider how you keep yourself hydrated. For as long as you can remember, you’ve been told to drink at least eight (8) glasses of water a day. As our bodies cope with different activities that have different levels of intensity, the need to keep hydrated is not simply satisfied by eight glasses. Most of the time, we need more, especially during summer when we sweat more often than usual. Keeping count of the glasses you’ve been drinking each day may seem too much though especially while in the middle of our summer escapades. However, the risk of dehydration is real. Sometimes, the common dizziness that people feel while playing under the sun’s heat is usually caused by dehydration. Headaches caused by dehydration could even lead to fainting or a ruined natural ‘digestive routine’, which is crucial for diets and maintaining that figure. The main tip is to make it a habit to drink the right amount of water your body needs. We know that you can relate to how difficult it is to form habits, so we wrapped up three simple life hacks that can help keep your body beach-worthy! 1. Always keep a bottle of water with you. The easier it is for you to do something, the easier it is to make it a habit. Writers on self-help, success, and discipline say making a task 20 seconds faster will make you more motivated to do the activity. Recall how you got yourself to jog everyday. Did you put your shoes beside your bed so that when you wake up, you can easily suit up? Think of it as having that Facebook icon in your smartphone’s homepage. Doesn’t that give you easier access? Definitely! Plus, looking for a convenience store to purchase a bottle every time you are thirsty is expensive and a hassle. It will also just contribute to plastic bottle waste. Wherever you go, always bring your handy bottle with you. And don’t forget to fill it with water before you leave home! 2. If water bores you, add flavor! Oftentimes, we don’t give our best to create habits because we feel that the task at hand is too much of a bother. Spice it up by trying out something new. Toss in some cucumber slices or lemon with your everyday fix of water. This is an easy way to make drinking water fun and much healthier. 3. When you feel and believe you are hungry, drink water first. Many of us seem to be hungry almost all the time and it is normal to feel it at an average of four hours after every meal. As Filipinos, we get hungry more often, especially with our merienda culture. The next time you feel hungry, tie up drinking water with that feeling. The next thing you’ll know, reaching for that bottle of water and drinking it all will be as effortless as breathing! Moreover, thirst is often confused with hunger. True hunger will not be satisfied by drinking water. So, if it is just thirst, you save yourself from those unnecessary calories. Those who are on a diet will surely love this! 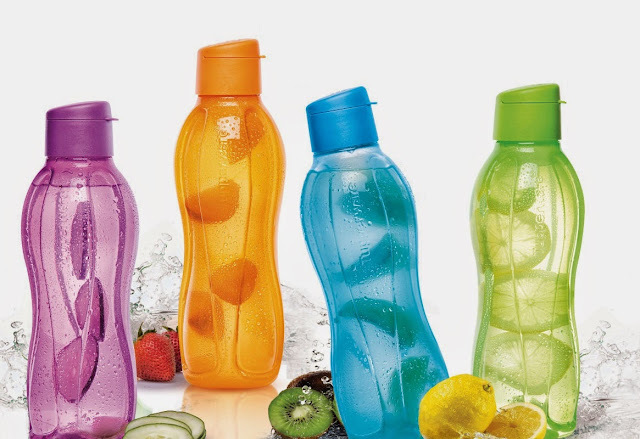 Go for a stylish, easy to hold, and durable water bottle such as Tupperware’s Eco Bottle. It comes in different sizes -- from 1 liter that is equivalent to 4 glasses, down to 310 mL that can fit perfectly in your purse. The Eco Bottle is made of safe, non-toxic materials and is tested and proven safe for reuse. It has a tight screw-on cap that prevents leaks and has a tab for easy opening. It even has an ergonomic shape for an easy grip to make sure that your hand muscles won’t get too stressed from holding it. This bottle also comes in different bright colors to choose from that are perfect for summer fun and will match your unique personality! Keeping yourself hydrated especially this summer is vital in having that perfect figure for your swimwear. With Tupperware’s Eco Bottle, you not only maintain that picture-perfect body, you also help lessen plastic waste on Earth. So start the habit of bringing along an Eco Bottle with you all the time! Schick - Make your smooth move! Do you want to learn the secret for having a smoother shave? 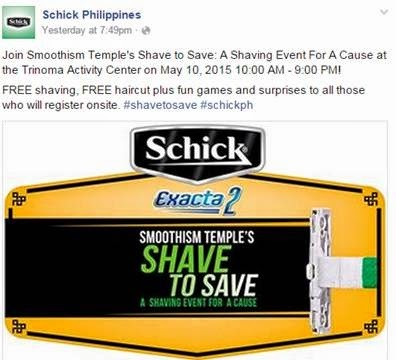 Then come to Trinoma Activity Center on May 10, 2015 from 1:00 to 7:00 p.m. for Schick’s Shave to Save: A Shaving Event for a Cause and meet Schick’s newest face, Smooth Lee. Smooth Lee has made appearances in various MRT stations and waiting sheds to promote Smoothism, a way of life to help de-stress, look good, feel good inside and out. According to MJ Tiquia, Product Manager of Schick, the brand has a longstanding commitment to promote good grooming among men, and this usually starts with proper shaving. “Shaving can be stressful, as it can be a tedious chore and may also lead to nicks and cuts. Schick helps take the stress out of shaving. We provide products that help promote a smoother shave and helps avoid nicks and cuts. In our activations and digital videos, Smooth Lee battles Lumpy Bump and Nick the Knife which corresponds to bumpy skin and cuts during shaving. Schick is here to help address those problems,” added Tiquia. The culminating activity will stage Schick’s partnership with Life Project 4 Youth, a non-government organization which assists in the social and professional integration of Young Adults aged 17 to 24 who live in extreme poverty and are victims of exclusion and also aims to develop the youth’s professional and social life. The partnership, according to Claire Guevarra, Schick’s OIC- Marketing, allowed them to expand their reach even to the country’s most vulnerable men. Guevarra emphasized, “Our shave for a cause campaign aims to help our target beneficiaries, in this case, the outstanding young adults assisted by the Life Project 4 Youth. Hopefully, we can further aid their needs, going beyond the grooming and moving forward to change their lives.” Schick targets to donate P100, 000.00 on this event which will benefit the projects and programs of Life Project 4 Youth. The awarding ceremony will be conducted in the activity center. 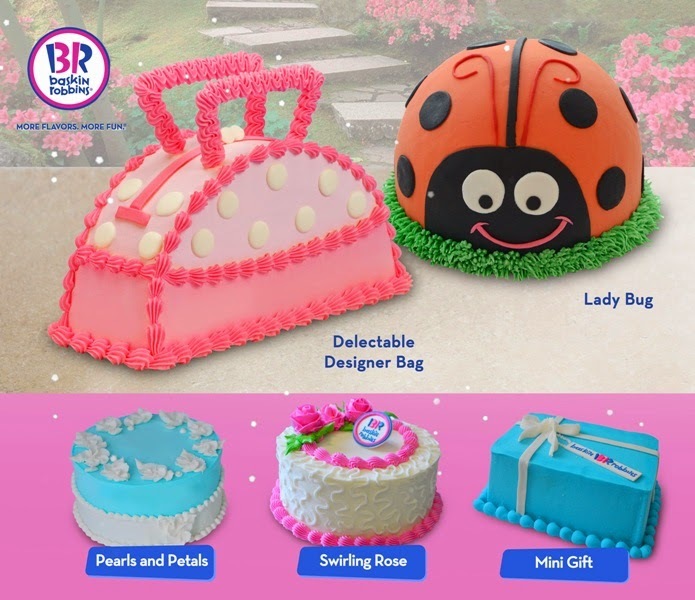 In line with the special treat for moms, Baskin-Robbins is also highlighting one of its all- time best sellers, Pralines N’ Cream as the flavor of the month for May. This classic ice cream flavor is made with vanilla flavored ice cream with praline-coated pecan pieces and a caramel ribbon. Pralines N’ Cream can be enjoyed in a cup, cone, milkshake or two-scoop sundae. To know more about Baskin-Robbins’ range of ice cream flavors and frozen desserts, visit Baskin-Robbins shops at the Central Square, Bonifacio Global City; Greenbelt 5, Makati; Fairview Terraces and Trinoma Mall in Quezon City. For more information about Baskin-Robbins; visit www.baskinrobbins.ph or check out their Facebook (facebook.com/baskinrobbinsph), Twitter and Instagram (baskinrobbinsph) accounts. Sparks - Is it a Club or a Sports Bar?! BETTER LIVING, PARANAQUE- Lancris Residences, the legacy project of Land Cris Somerset Development Corp., continues redefining condo living with the blessing of the showroom of its upcoming Garnet Tower on May 2, 2015. Land Cris Somerset’s Mr. Dennis Lim, Chief Operating Officer, and Mr. Jigger Cunanan, Assistant Vice President, spearheaded the unveiling of the showroom. Joining the two executives are partner brokers including Ms. Emi Pulido of Praise Realty Marketing Corp., Ms. Rose Suarez of Human Shelter Realty Corp., and Mr. Rex Lomangaya of Driven Marketing Group Inc. Residents of the Diamond Tower also attended the ceremony. Some of them had their units blessed by Fr. Illidio Correa, the officiating priest, after the service in the showroom. The showroom, which consists of two-bedroom and three-bedroom units, is built next to the Diamond Tower to exhibit the three-meter floor to floor height, spacious unit cuts, and balcony features of the Garnet Tower. Buyers that day received a P5, 000-reservation discount. Available in the Garnet Tower are two-bedroom (approx. 52 sq. m.), three-bedroom (approx. 81 sq. m), and special four-bedroom penthouse (approx. 103 sq. m.) units exclusively for residential purposes only. Just like the first building, the Garnet Tower will also have its own Sky Garden, a recreation park on top of the tower. The construction of the tower will start this year to offer more condo homes in the suburb landscape of Southern Metro Manila. To see the newly-blessed showroom of the Garnet Tower, visit Lancris Residences at Japan St. Cor. Dominic Savio St., Brgy. Don Bosco, Paranaque City. For more information about how Lancris Residences is redefining condo living, log on to www.landcris.com or call 0917-801-2677. Lancris Residences is a condo village, owned and developed by Land Cris Somerset Development Corp. offering authentic suburban lifestyle in its four residential towers in Better Living, Paranaque. To know more about the property, latest events, and construction updates, log on to www.landcris.com. This year Alaska once again showed the value of Nutrition Action and what makes a Champion. With kids learning basketball from premier Basketball Players of our country. Teamwork, hardwork, communication, discipline are just among the values that the camp provided as well as keeping the participants healthy by having Alaska Milk and Chocolate a ready health drink that they kids can have in the camp. Experience spot on picture display wherever you are! 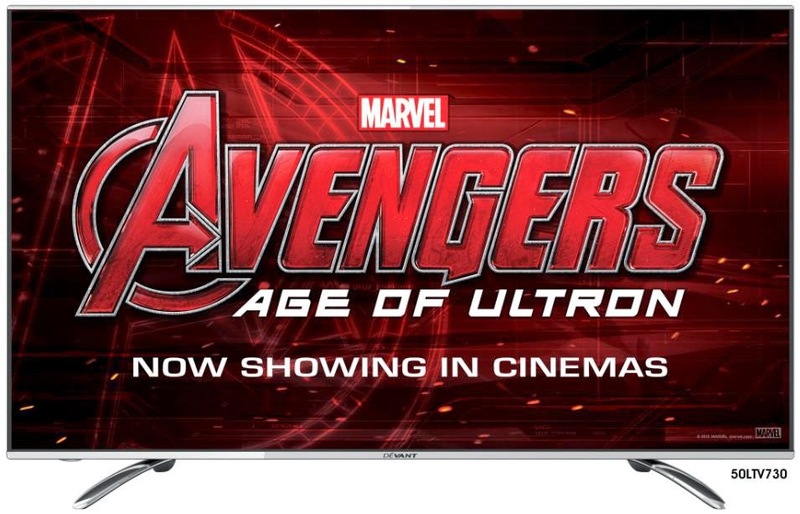 DEVANT 55-inch Smart 3D TV’s Perfectly Clear Panel eliminates ambient light reflection and gives you balanced picture displays even in various lighting conditions and allows you to never miss a scene just like how the unparalleled marksman Hawkeye never misses his target. 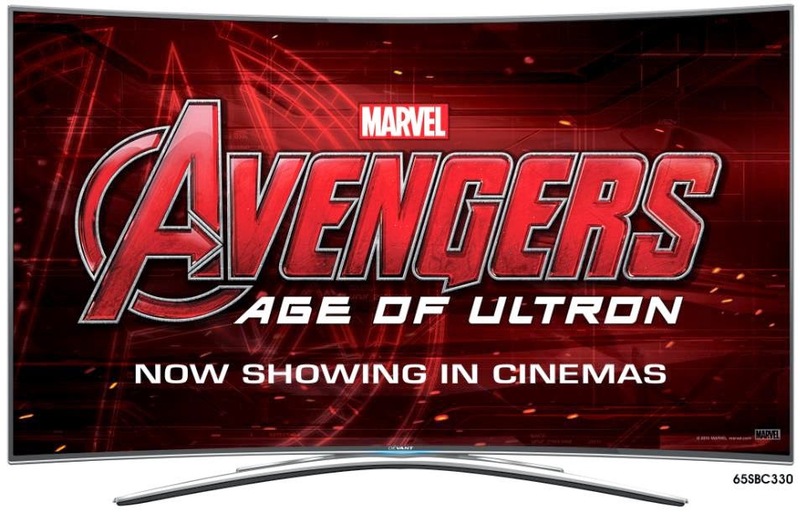 additional support of Don Cheadle as James Rhodes/War Machine, CobieSmulders as Agent Maria Hill, StellanSkarsgård as Erik Selvig and Samuel L. Jackson as Nick Fury, the team must reassemble to defeat James Spader as Ultron, a terrifying technological villain hell-bent on human extinction. 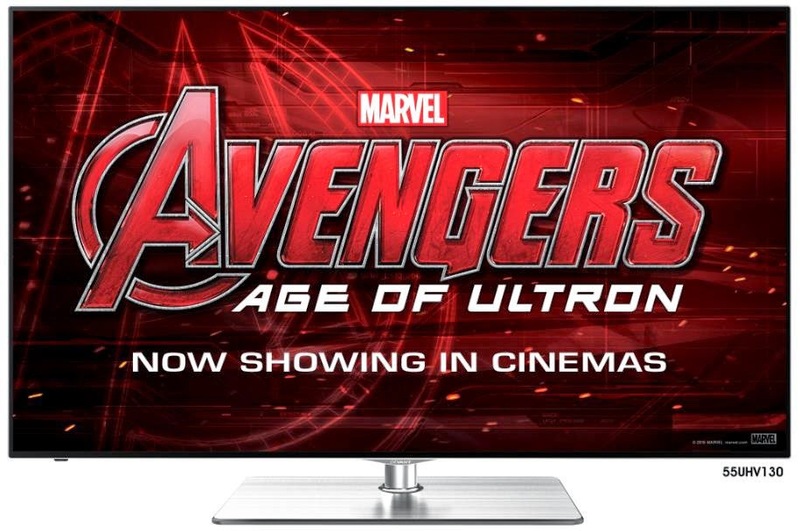 Along the way, they confront two mysterious and powerful newcomers, PietroMaximoff, played by Aaron Taylor-Johnson, and Wanda Maximoff, played by Elizabeth Olsen and meet an old friend in a new form when Paul Bettany becomes Vision. 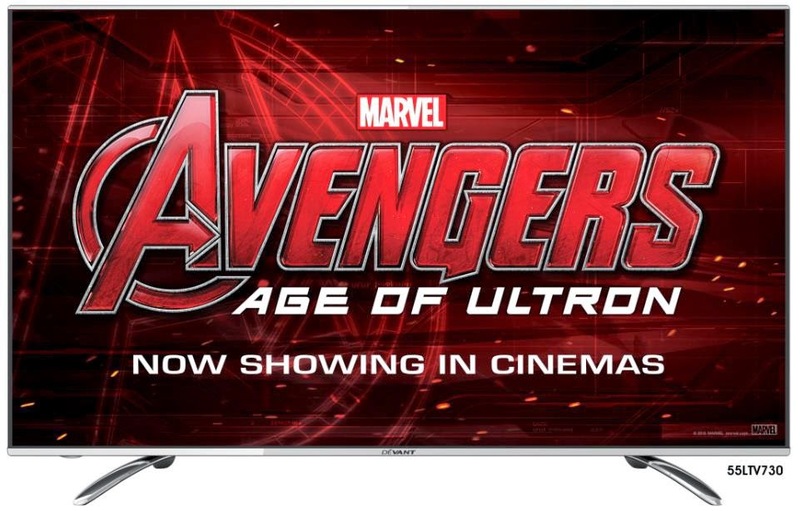 Written and directed by Joss Whedon and produced by Kevin Feige, p.g.a., Marvel’s Avengers: Age of Ultron is based on the ever-popular Marvel comic book series “The Avengers,” first published in 1963. Louis D’Esposito, Alan Fine, Victoria Alonso, Jeremy Latcham, Patricia Whitcher, Stan Lee and Jon Favreau serve as executive producers. Get set for an action-packed thrill ride when The Avengers return in Marvel’s “Avengers: Age of Ultron” on April 22, 2015.